The mounting evidence of the interconnectedness of spirituality, health, and medicine suggests giving new attention to the healing ministry of Jesus. 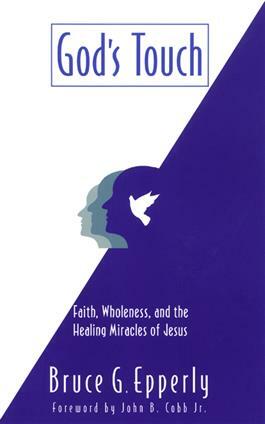 Through a fresh reading of the Gospel narratives, Bruce Epperly reveals the centrality of whole-person healing within Jesus' mission as teacher and social reformer and stresses that churches should seek to recover a healing ministry that touches both the spirit and the body. God's Touch traces the links between Jesus' approach to wholeness of mind, body, spirit, and relationships, and the practices of complementary and alternative medicine today.